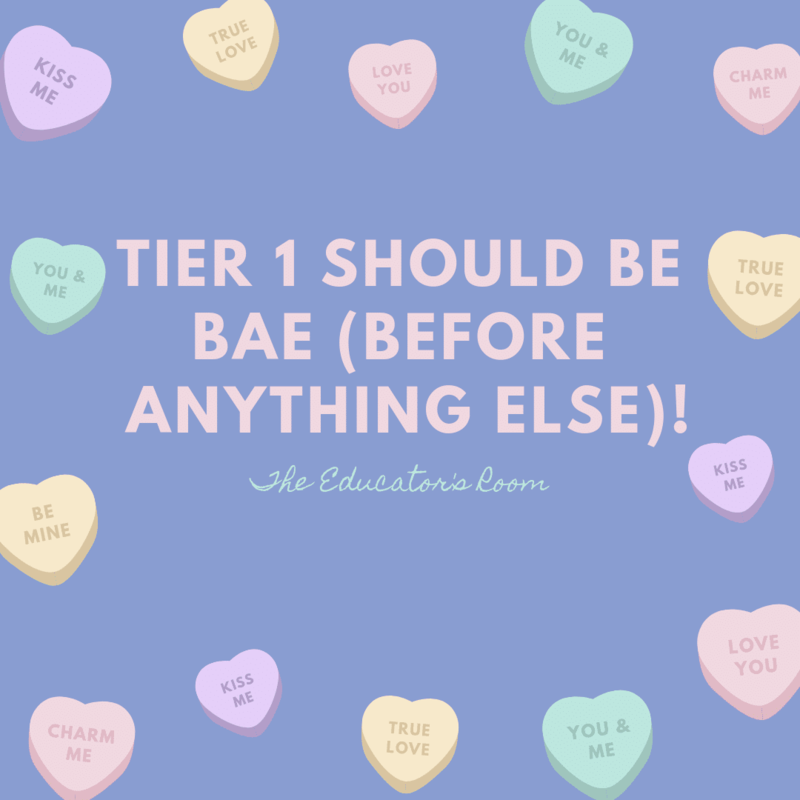 Tier 1 should be BAE (Before Anything Else)! LaToya Morrison is an ELA Secondary Instructional Coach in Austin, Texas. Previous to this position, she taught middle school ELA (grades 6-9) for 10 years in Fort Worth and Round Rock ISD. She was named Teacher of the Year in 2008 at William James Middle School and 2013 at the Young Women's Leadership Academy of Fort Worth. She holds a bachelor of science degree in middle school education from Texas Wesleyan University, and a master's degree in curriculum and instruction from Texas A&M University. LaToya also blogs on Medium about student engagement, culturally responsive practices, and high-yielding instructional strategies. Follow her musings by visiting https://medium.com/@latoya_morrison. Intervention, magic bullets, and remediation are terms that are all too common these days. We hear the echoes of these cringe-worthy words in meetings and PLCs across campuses and districts. Somehow, over the years, these elements have taken center stage as some of the leading roles in education. How did this happen? How did all of these other components take the place of what should be our first love…Tier 1 instruction? It’s clear we have continued to put the cart before the horse by over saturating teacher training, faculty meetings, and professional development with copious amounts of tips, mandates, and pleads for interventions to close every gap. Now, don’t get me wrong, I am all for closing gaps…especially ones bound in inequity. However, at some point, when are we going to stop and ask…WHY ARE THERE SO MANY GAPS TO CLOSE? How are we going to remediate? We need to create tutoring groups. Students don’t understand the material. What program can we use to close these gaps? Percentages were low across the board. What system(s) can we put in place for students to retain skills? As I listen to the questions and inferences made, I can’t help but to let out a silent scream in my head. One that yells, “Why are we not focusing on Tier 1 instruction?! Why is THIS not the million dollar question? !” When numbers are low and gaps are high, this is a huge red flag that there has been some serious neglect in the classroom. Not always intentionally because I truly believe that most teachers are doing their due diligence. Nonetheless, when droves of students are lacking understanding, across grade levels, with no vertical alignment in sight……Education, we have a problem. And how do we solve it? We start throwing in programs, interventions, systems, and remedial practices to fix what was never addressed in the first place- a lack of solid, effective, Tier 1 instruction. Let us be real and know that sometimes, or more aptly, most times, we skip a key component of Response to Intervention: solid, research-based instruction by the classroom teacher in tier one. I’m beginning to realize that we’ve grown to love the “quick fixes” more than our beloved Tier 1, the area that can actually create sustainable growth/impact in the lives of students. We’ve forgotten how necessary it is to have a strong relationship with Tier 1. In fact, we are so clouded with standardized testing, initiatives, and timelines that we no longer recognize effective instruction. What is effective Tier 1 Instruction? Simply put, Tier 1 instruction is high-quality instruction that meets the needs of all learners. The effectiveness of this type of instruction is dependent on many factors, one being differentiation. Highly effective teachers ensure that they are maximizing and enhancing learning time by varying instructional strategies and activities. Effective educators also present content in a meaningful way that cultivates understanding and mastery for students. Classrooms with clear and high expectations are ones in which students thrive. Too often, we put too much emphasis on data outcomes and future intervention plans than dissecting the effectiveness (or lack thereof) of our Tier 1 instruction. So while some may focus on the hindrance of these obstacles, effective teachers succeed in spite of them. Teachers’ expectations impact student success more than a student’s own motivation. Since teachers control the classroom climate, it is imperative that we reconnect with Tier 1, making this level of our instruction a priority. 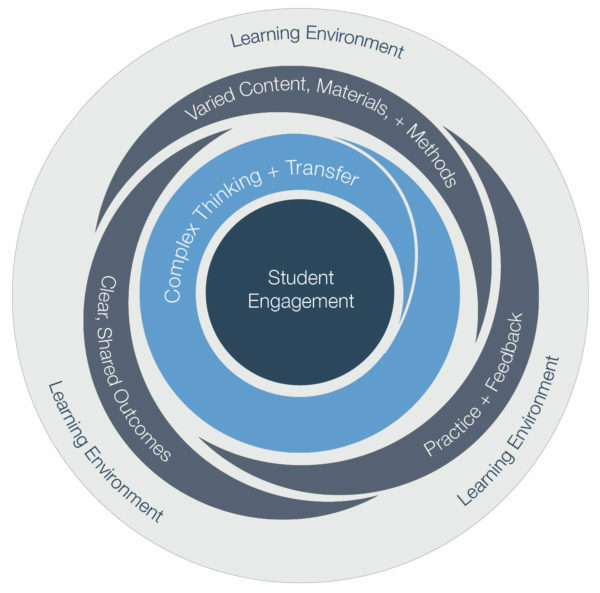 So, how do we get back to the most important layer of instruction, Tier 1? Get back to intentional planning/backwards design– There is a direct correlation between the level of planning/effort given to the effectiveness of teaching and learning. Beginning with your standards, noting common assessments, and planning instruction and activities around specific standards and objectives are crucial to student learning. Engage in authentic PLC conversations– Often PLCs are a mask for meetings. True PLCs prompt educators to engage in real instructional conversations, lesson modeling, sharing, student work evaluation, and feedback. Without these components, we cannot continue to grow and hone our craft. Conduct various, on-going formative assessments– Continuously checking in with students (with a variety of methods) to ensure understanding, mastery, and even points of confusion, are key to maintaining a strong Tier 1 relationship. If we aren’t mindful of where students are, before getting to summative data, student gaps will continue to grow. Include differentiation– From flexible grouping to tiers of learning, differentiation is a significant piece in ensuring that all students are able to access and understand content successfully. In order for any relationship to be successful, one has to value the relationship and make it a priority. Unfortunately, we have continued to underestimate the value of Tier 1 instruction, while focusing most of our energy on Tier 2 and Tier 3 efforts. We will never see the growth we aspire to have if we do not place our attention on the right elements. Students’ success should be our ultimate goal and this goal can only be accomplished by evaluating and continuing to refine our Tier 1 instructional practices. No other level can hold a candle to this foundational level of learning for all students. Response to Intervention conversations and professional development should start with helping to make sure teachers have the knowledge and ability to gather timely information about student learning and also know how to adjust instruction effectively and efficiently to address student needs, rather than just looking for interventions to add. The expectation is that if the Tier 1 program is implemented with a high degree of integrity and by highly trained teachers, then most of the students receiving this instruction will show outcomes upon assessment that indicate a level of proficiency that meets minimal benchmarks for performance in the skill area. So, let’s reevaluate the instructional methods and goals we hold near and dear in education.